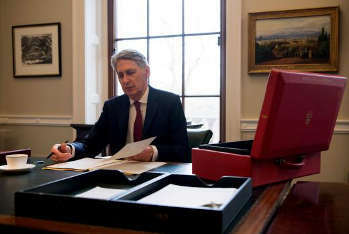 In his Budget speech, Philip Hammond announced that the Government will allocate £420m to local authorities during the current financial year ‘to tackle potholes, repair damaged roads, and invest in keeping bridges open and safe’. The government will also make £150m of National Productivity Investment Fund (NPIF) cash available to local authorities for ‘small improvement projects such as roundabouts’. Howard Robinson, chief executive of the Road Surface Treatments Association said: 'The reactive additional funding announced by Philip Hammond shows that he has failed to do the maths and understand the economic folly of spending an average £52 per square metre to repair a pothole against the £2 per square metre to surface dress and maintain a road. As part of the NPIF, the Government is extending the Transforming Cities Fund by a year to 2022-23 at a cost of £770m. This will provide an extra £240m to the six metro mayors for transport investment in their areas, with 21m for Cambridgeshire and Peterborough, £69.5m for Greater Manchester, £38.5m for Liverpool City Region, £23m for West of England, £71.5m for the West Midlands, and £16.5m for Tees Valley. A further £440m will be made available to the city regions shortlisted for competitive funding. Ten city regions are eligible for this funding, and the Government will shortly be announcing a further two. In addition, to support the Industrial Strategy Future of Mobility Grand Challenge, £90m from the NPIF will be allocated to the Transforming Cities Fund to create Future Mobility Zones. This will trial new transport modes, services, and digital payments and ticketing.